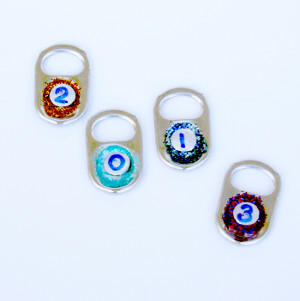 Celebrate the New Year with 2013 charms made from recycled soda can tabs and punch-out circles. 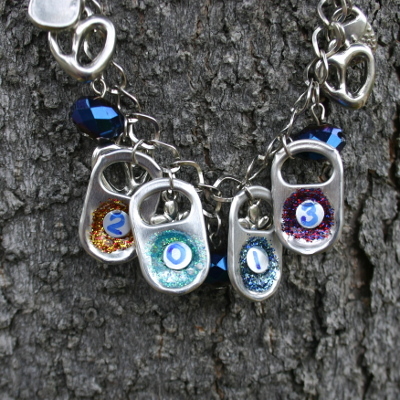 These glittery charms are so easy to make, you can do them with your kids. Save those cans! 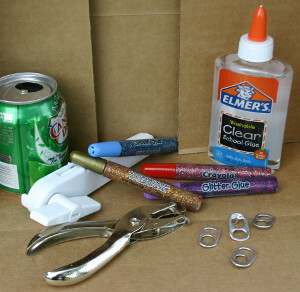 You will need recycled soda cans, at least four tabs, Elmer's® Clear Glue, hole punch, top can opener, glitter glue, and a sharpie (sorry, forgot to include in picture). Start by laying a glitter background with glitter glue. Glue from the outside and then fill in then center. 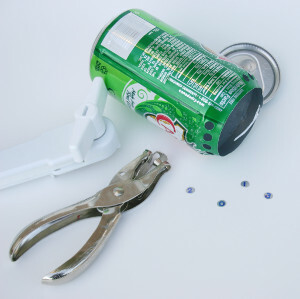 Use a can opener to open the top of a soda can. Carefully punch out small circles from the side of the can with a hole-punch. Use a sharpie to write a number from "2013" on each circle. 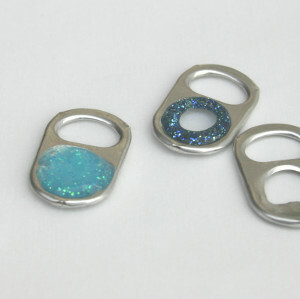 Once the glittered can tabs have dried, drop the circles onto the tabs, number side facing up. Coat each number with a dollop of Elmer's® Clear Glue. 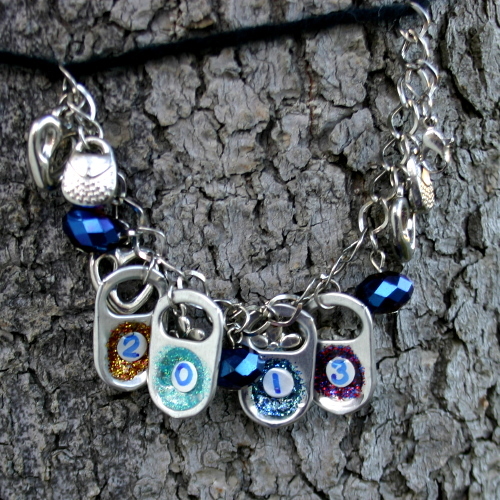 Allow to dry and attach the charms to your bracelet or necklace. I like this! Thank you for sharing it. Thank you for reading my blog. I would love to hear from you so please send me your comments, ideas, feedback. I hope you enjoy reading and visit back often. Copyright 2012 www.craftgenuity.com. Simple theme. Powered by Blogger.